For galas, conferences, wedding receptions and banquets, Novotel Phu Quoc Resort’s spacious 470 square metre ballroom presents a modern and versatile solution. 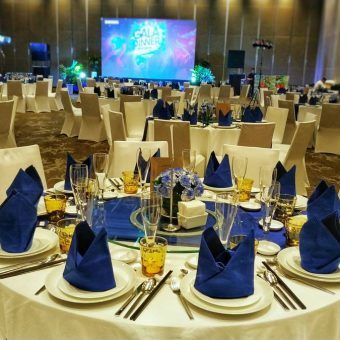 For galas, large conferences, wedding receptions and corporate banquets, Novotel Phu Quoc Resort’s spacious 470 square metre ballroom presents a modern and versatile solution. 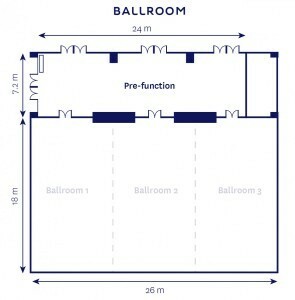 Accommodating upwards of 400 guests, the grand ballroom can be split into three sections for events of any type and size. Serviced by the hotel’s highly trained staff, Novotel ensures your next event or banquet on Phu Quoc Island will meet the international standards guests have come to expect.